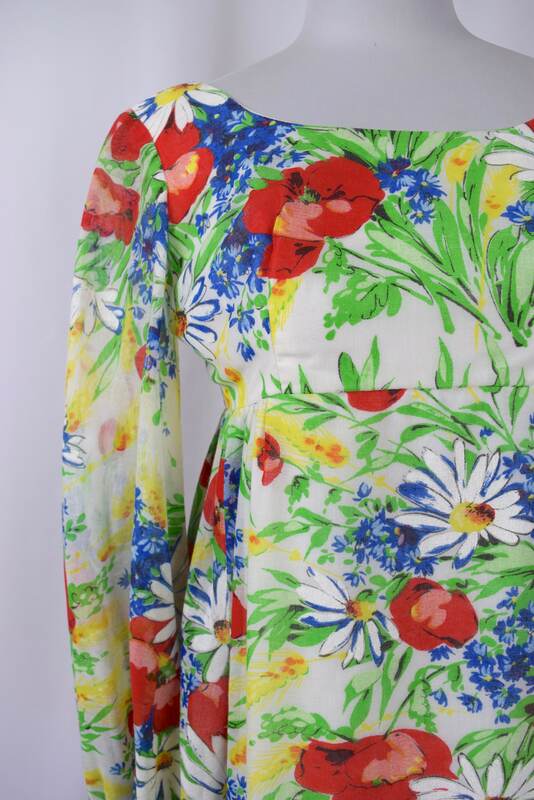 Darling best ever rainbow floral print cotton voile empire waist babydoll dress with balloon sleeves. Fully lined except for the sleeves. Metal zipper up the back.